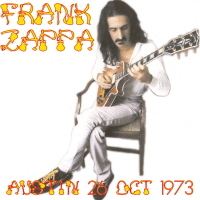 I really didn't "get" or "get into" Frank Zappa until the early-to-mid-70's and the productions were a bit more mainstream, for the lack of a better way to put it. Older friends of mine and my cousin - and his friends - had these early Mothers Of Invention LPs as staples in their collections and I just couldn't connect on that level whatsoever. Here was a superb opportunity to give it another shot but I still don't get it. Trying to capture the perfect description of this work lands me at "broadway genius meets early Spinal Tap" (the early "mod" iteration of Spinal Tap from the movie, if you know what I mean). 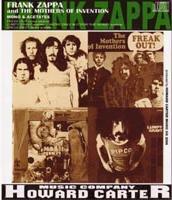 It is said that 1966's "Freak Out", the very first Mothers Of Invention LP, is considered the first Rock N' Roll concept album and the impetus for Paul McCartney to write "Sgt. Pepper's". In essence, a fantastic idea in which someone else with vision can organize much better and write some actual songs that flow...versus a series of unrealated musical skits and orchestrations segueing into recorded random dialogue - put in a blender and splashed on vinyl. How did that go? Don't get me wrong, you can smell the genius that is/was Frank Zappa all over the place on these LPs...but as a "product" - I just can't buy-in. These early recordings are just too "in progress" for me even while fully baked. They seemed to be not thoroughly cooked themselves but die-hards will argue passionately the other way and I respect that. What we have here is an excellent representation of the early to late-60's output by Zappa and The Mothers in Mono versions and Acetates transferred digitally to CD for posterity. All recordings really sound great and there isn't nearly as much surface noise on the Acetate material as you might expect. All the vinyl junkies will be pleased with the transfer. The first 200 copies of the compilation comes with a 4th disc (CDR) featuring the "We're Only In It For The Money" Demo...and, Test Pressing. The material here presents something which is closer to rock music format but still quite experimental. 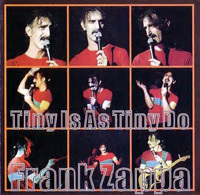 All in all, a very cool addition to an already attractive set for the Zappa audiofiles and afficianados out there. I'm not sure anyone could actually sit down and listen to this set in it's entirety but, if you can get through "Lumpy Gravy" there is hope! I love the description on the original LP: "a curiously inconsistent piece which started out to be a BALLET but probably didn't make it." The whole "Lumpy Gravy" as a release clocks in at just over half an hour but it does seem to go on and on...and why is that in one sitting, it gets extremely repetitious. The set comes housed in a "Fat Boy" 4CD Jewelcase utilizing original album artwork from all the releases to adorn the front cover. The Japanese Howard Carter Music Company Label seems to be a moniker specific to Frank Zappa releases - or what may be the starting of such an association - and this initial offering of gathering rare versions of this material is a very nice start.